MOLDOVA. Transdniester. 2004. The population of Transdniester is mainly ethnic Russians, and the main religion is Russian Orthodox Christianity. 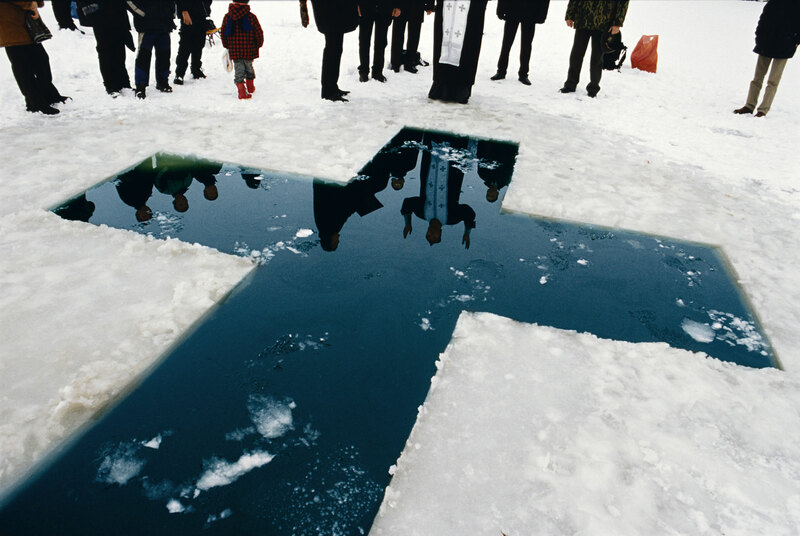 Here a priest gives his blessings before a christening in the icy waters of January.